RitzPix isn’t just for ordering collage posters or cheap photo enlargements online. 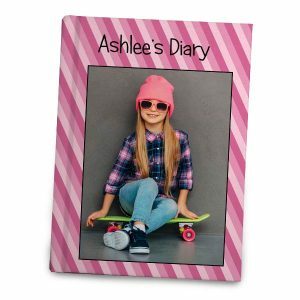 Order photo cards that you design yourself embellished with your fondest photographic moments, a personal message, and our large variety of designer-inspired templates. Upload your photos and create photo cards online! 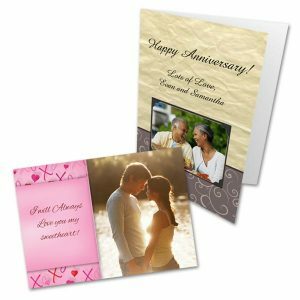 We offer an array of card styles that are perfect for greetings, invitations and announcements. Choose a template and add your own photos and text to create the ultimate card. You can even create your own personalized postage stamps for the finishing touch! Whether you’re creating birthday invitations, holiday greeting cards or want to make your own personalized stationery, you can easily create your own greetings with just a few simple steps. First, choose your card style. Then, find a card template that compliments the occasion. Upload your photo to your RitzPix photo folder. Now you can begin building your card’s design by adding photos and personalized text. Finally, load your card into the cart and then place your order. With graduation fast approaching, there’s no better time than now to upload your photos and create photo graduation announcements. Most of our customers like to use senior portraits, or you can let your grad choose photos from throughout their high school years to create a collage. Have any photo arrangement custom printed and then add personalized text to complete your layout. For your announcements you can include the time, place, and location of the ceremony. Or, type a congratulatory message if you’re making a customized graduation card to accompany a special gift. For custom greeting cards, RitzPix will not disappoint, no matter the occasion. When should graduation announcements be sent out? Two to three weeks before the ceremony is what RitzPix recommends so you give your guests enough time to plan around your celebration. Now that you’ve thought about cards, have you been thinking of graduation gift ideas? We offer personalized desk organizers, graduation photo books, and more that you can give to your grad to make their day all the more special. Make Mom smile this Mother’s Day with our wide selection of Mothers Day photo card templates. Once you’ve chosen your card, you can fill it up with Mom’s favorite photos from your phone, Instagram, or Facebook. We make greeting card printing simple so you design your cards and order from your phone in minutes. This Mother’s Day, make Mom smile with a custom Mothers Day card that brings her most cherished memories to life! Looking to brighten Dad’s day? This Father’s Day, create a customized photo greeting just for him. We offer a wide range of custom Fathers Day Cards. Select a card style, choose your template and arrange your photos to complete your layout. You can even add a personal message! Father’s Day photo cards are perfect for showcasing all of Dad’s favorites including selfies, your camping trip memories, and more! We also offer unique gifts for Dad! 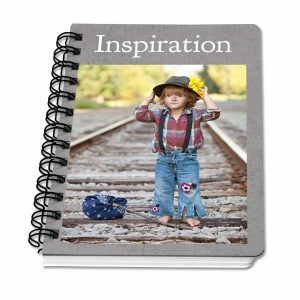 Create a Fathers Day photo book, a photo stein, or make a personalized necktie that he wear to the office. For an unforgettable Father’s Day, don’t forget RitzPix! Whether you’re looking for custom photo birthday cards or you need moving announcements printed with a family photo, RitzPix has all the custom options available in one place. Choose from dozens of designer inspired templates to get your custom card started, or begin from scratch and create your own layout. From wedding and baby themes to the holidays and birthdays, we have everything you need right here. Our photo card maker is easy to use and lets you create the perfect greeting, invitation or announcement in no time. If you’re looking for an all-time classic, why not create your own glossy photo paper cards? Our glossy photo print cards are printed on the best quality photo paper so your photos appear richer, sharper and clearer for a greeting that can’t be beat. We have styles to choose from that are appropriate for any time of year. Or, you can select our blank card option and add a favorite photo full size along with your own text. From personalized stationery to save the date invites, our cardstock photo cards are perfect for any custom card creation you have in mind. Not only are they printed on heavy weight cardstock for a professional look, they can be printed both front and back with photos and text. Create your own photo postcard or make your own holiday cards bursting with color and personality. 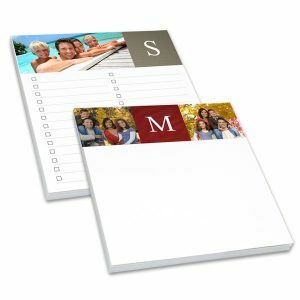 With a few favorite pictures and some great ideas, you can easily create amazing double sided photo cards for any occasion. Celebrate any occasion with our folded photo cards any time of the year. If you’re looking for a more formal card to send out, this is it! Our folded cards can be printed with photos and text on the front, back and interior panels. Upload your best photos to create a special and unique card that’s fit for wedding invitations, graduation announcements, personalized stationery, and more. Make your own invitations with photos, text and our wide range of custom card ideas and options. RitzPix has everything you need to invite all your guests in style whether you’re throwing a birthday bash, a holiday party or a fun summer cookout for all your friends. Make your invitations all the more special by incorporating a favorite photo into your invitation card design. Use last year’s birthday photo to create a festive birthday invitation or a candid family snapshot to invite everyone to your upcoming family reunion. The options are endless! Create custom save the date cards online for any upcoming event. Whether it’s you wedding, a reunion or a holiday party, we have every card design you need to create amazing save the date invites. Make one for your friend’s bridal shower or use a favorite engagement photo to make your own save the date wedding cards. Nothing makes a save the date more special than incorporating a treasured memory into the card layout! Maybe you want to say thanks for your lovely holiday gifts or show a little gratitude to a neighbor for collecting your mail while you were away. It’s always a great idea to have thank you cards on hand, just in case! At RitzPix, you can make custom thank you cards in minutes complete with photos and text. Create an amazing full photo layout using one of your best natural landscape photos. Or pick from an array of designs to include your favorite selfie for a cute thank you card your recipients will love. Maybe you’ve chosen the date for the big day and you’re starting to think about wedding invitation cards. RitzPix has all the options you need to make them perfect. Our double sided photo cards are a great option since they are printed on durable cardstock for a professional look. Create your own designs both front and back with photos and text and send them out to your guest list to invite them to your special day in style. Make your own stationery with photos and a wide range of other customized templates and layouts. Custom stationery is a great way to show off one of your best photographic masterpieces. Upload your photo and choose the full photo layout to make a statement. Our custom folding cards make great stationery since you can add your own photo to the front and include any handwritten message on the inside no matter the occasion. If you’re looking for personalized monogram stationery, you can use our text feature to add your initials to the front of your card with or without a photo. The options are endless! Whether you’re designing your own holiday cards, looking for personalized invitations or you want to make your own announcements, we have everything you need in one place. Just choose your photos and pick a card style to get started. RitzPix makes it easy for you design the perfect greeting no matter the time of year! 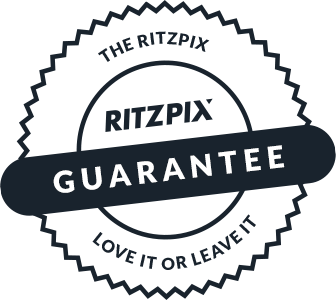 Not only do we offer quality cards, we have the cheapest prices online so you don’t have to break the bank!